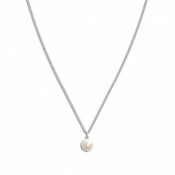 The Abigail Pearl and Diamante Bridal Pendant Necklace is an absolutely gorgeous freshwater pearl and diamante bridal pendant set on a delicate sterling silver chain complete with pretty extension chain. 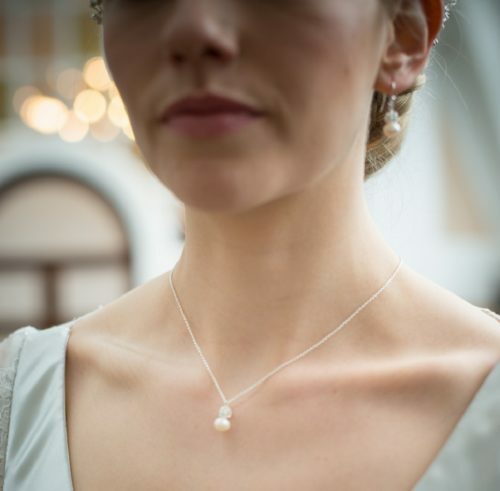 A really beautiful pendant necklace and just perfect for a vintage wedding. Matching earrings are available, and there is also a detachable back necklace that can be bought alongside this piece. 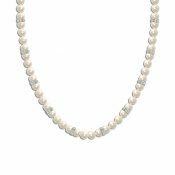 Length: 16” – 18” adjustable (pendant is 0.75”). If you require a different size please state this in the special instructions box at the checkout. We will contact you if any extra payment is required. 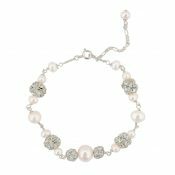 Be the first to review “Abigail Pearl and Diamante Bridal Pendant” Click here to cancel reply.